The 2019 edition of the Boston Marathon held on Monday served up one of the most enthralling finishes ever witnessed on the Hopkinton to Boston 42.195km circuit, except possibly for the catfight that ensued in 1988 during the 92nd edition. In that race in 1988, Ibrahim Hussein of Kenya ran shoulder to shoulder with Juma Ikangaa of Tanzania for the last 14 kilometers but delivered a potent final sprint to pip Ikangaa by a paltry one second to win in a time of 2:08:43. For his troubles that day, Ibrahim Hussein walked away with a $45,000 paycheck and a brand new Mercedes Benz E240 valued at $35,000. (It is a testament to the sentimental value that Ibrahim Hussein accords to this car that he still owns this car to date, over thirty years later). At that moment in 1988, no one would have anticipated that over a distance of 26 miles and 385 yards a replica finish would ever be witnessed again, much less on the same Boston Circuit. 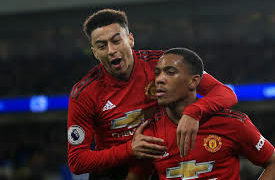 Enter Lawrence Cherono and Lelisa Desisa. Billed as one of the most competitive line-ups ever assembled in Boston in recent times, the 123rd edition of the Boston Marathon served up a stellar cast of elite athletes featuring former winners of this race from 2012 to date, with the exception of the 2014 winner, Meb Keflezighi, who has since retired. 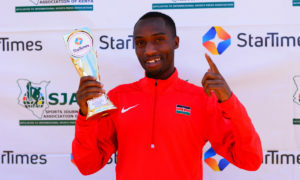 The returning men’s champs were Wesley Korir (2012), Lelisa Desisa (2013, 2015), Lemi Berhanu (2016), Geoffrey Kirui (2017) and Yuki Kawauchi (2018). 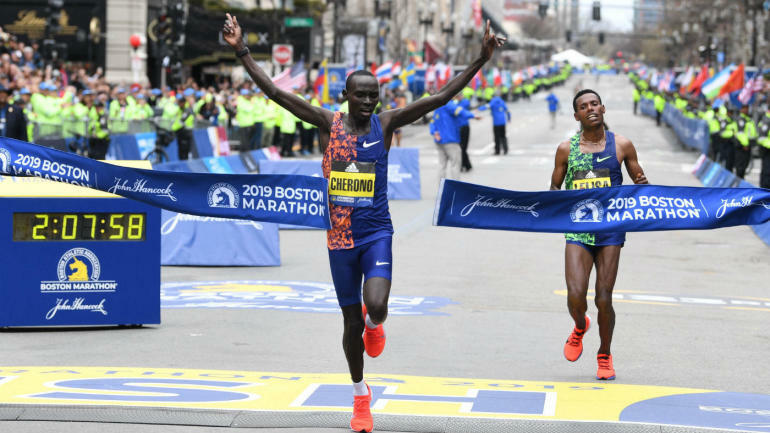 Lawrence Cherono lining up as a debutant at Boston was widely viewed as the underdog despite his current world number two ranking, behind only Eliud Kipchoge, the reigning Marathon World Record holder. 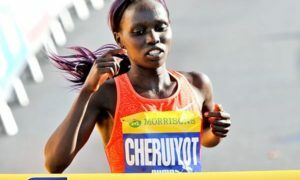 Cherono’s accolades include winners’ medals at Seville Marathon (2015), Prague Marathon (2016), Honolulu Marathon (2016,2017), Amsterdam Marathon( 2017,2018), as well as a runners up medal in Rotterdam Marathon (2017). In essence, Cherono at the start of the race boasted 7wins out of 8 marathon races he has competed in. A fancy record, to say the least, and on course to match Eliud Kipchoge’s current win ratio of 11 wins in 12 races. York Marathon winner, boasting a personal best time of 2:04:45 was the favorite to win, especially since he could hold his own in a sprint finish as evidenced when he out-thought, out-fought and out- maneuvered Geoffrey Kamworor in his New York win. At the start of the race, the weather seemed favourable for distance running, with temperatures beneath 57 Fahrenheit and a slight tailwind with mild humidity. Africans and a few Americans taking turns at the front with no one willing to put his head on the chopping board. Any hopes of a fast time were well and truly dashed when at least a dozen men passed the 21km mark in mid 1:04 range projecting a finish time over 2:07. It wasn’t until 35K that the race truly began to take shape with the emergent leaders Geoffrey Kirui, Kenneth Kipkemoi, Lilesa Desisa, Felix Kandie and Sisay Lemma decided to break away. With Kenneth Kipkemoi evidently in tip-top shape, it wasn’t long before he decided to throw down the gauntlet with the rest of his competitors reeling off faster times after every kilometer, indicating a subtle injection of pace. And soon the pace began to claim victims with Geoffrey Kirui, a decorated distance athlete, falling back unable to sustain the relentless affront by his younger compatriot. 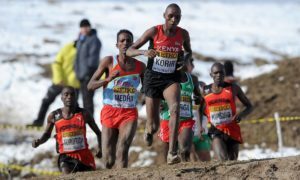 Eventually, it came down to a three horse race between Desisa, Cherono, and Kipkemoi. And so it must have occurred to Desisa that this was reminiscent of his recent conquest against Kamworor. However, Cherono had the advantage of unpredictability because no one had ever really seen him in a final race to the wire, unlike Kamworor whose last 5K pace is well documented. Thus when Desisa hung back as they approached the final mile, but suddenly rushed to the front and pushed the pedal hard, the two Kenyans initially seemed doomed as the Ethiopian sped away. However, Cherono would eventually have the last laugh as he summoned his inner reserves to stick with Desisa until as the finish line came into view when the Kenyan flew past him to cross the finish in 2:07:57. Desisa came in second in 2:07:50 with Kipkemoi third in 2:08:07.